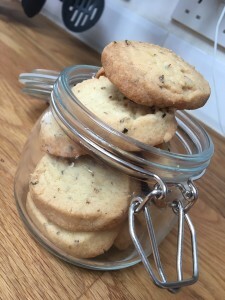 These are the things my lovely colleagues at Hills *might* have been saying about me this week when I turned up to the office with a batch of Lavender cookies I’d lovingly made over the weekend. 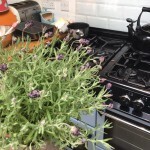 I love lavender – I love looking at it in boarders and pots in the garden. I love it in small ceramics in the house, I love the oil, I love the smell and I also really love the taste! That super sweet smell, and floral taste is one of my favourites. Seeing as currently Lavender is going out the door quicker than the bees can fly around and grab the pollen, we thought it was time to share a little recipe using our very own, British grown lavender as the star of the show. 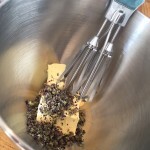 – The softened butter and lavender needs to be beat together, this will get maximum flavour out of the lavender and into the biscuits. – Next beat the caster sugar in to the butter and finally stir in the flour. – You may need to use your hands now to bring it together and knead for a few minutes until smooth. 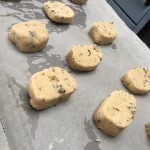 – Half your mixture and roll each half into 15cm long sausage shapes. Wrap in baking paper and place in the fridge for 15 minutes. Pop the oven on to 140°C for a Fan assisted oven. Cut each sausage in to about 10 thick slices. – Put onto your prepared baking trays with a bit of space around them. Bake for 15-20 minutes until the edges go a golden brown and they lift off the tray. 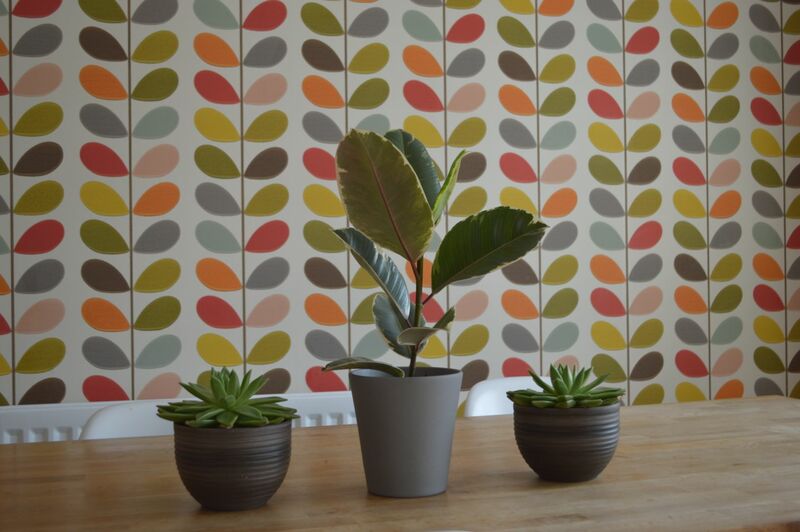 – Cool on a wire rack and enjoy with a lovely cup of tea!